Looking for alternative ways to earn CME!? Tympanoplasty is a common procedure performed by general otolaryngologists and subspecialists alike. Frequently performed as an elective, outpatient procedure, surgical technique is variable and dictated by a combination of patient characteristics, physical exam findings, as well as surgeon preference and experience. Using expert surgical videos, this in-depth eCourse will review four tympanoplasty procedures: Underlay, Lateral Graft, Cartilage and Endoscopic. It should be noted that this course focuses entirely on type 1 tympanoplasty techniques and, as such, will not include ossiculoplasty, mastoidectomy or cholesteatoma surgery. 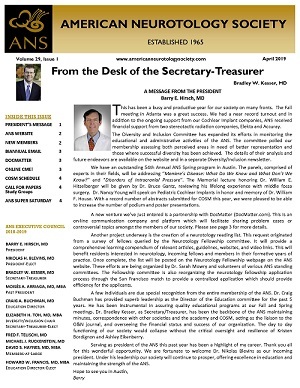 This course was developed by members of the American Academy of Otolaryngology - Head and Neck Surgery Foundation (AAO-HNSF) - Otology and Neurotology Education Committee and the American Neurotology Society (ANS). 1. Sign in using your Academy ID and Password. If you do not have an account you can create one by clicking on the blue text that says "Create a Non-Member Account." 3. Under the box "Activity Series", click on "eCourses"
4. Click on the “Buy Now” button under the 6th entry for the eCourse titled, "Expanding Knowledge and Improving Competence in Tympanoplasty Surgery: Expert Tips and Techniques”. 8. You will come to a screen that asks for your payment information. Here is where you will see the discount applied. 9. “Submit Payment” to finalize the purchase. Once you pay for the course, you will have access immediately. To launch the course, click on "My AcademyU". Under the My Courses box (lower left-hand side), the course will be listed. Click “Launch” to start the activity.